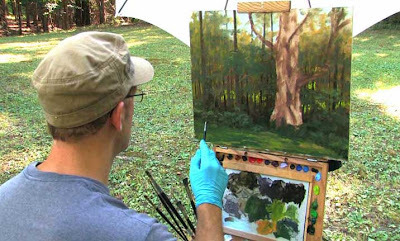 (Video link) Thomas Kegler’s new hour-long video is called Painting En Plein Air: Resolving the Landscape. It follows a two day painting session on location at the edge of a hardwood forest. The subject is an ancient maple tree, screened in by a younger forest. 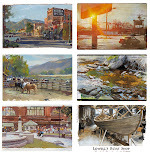 Kegler uses oil paint according to traditional principles that he has studied from the work of Hudson River School masters such as Asher B. Durand and Frederic Church. With the help of Black Horse Videography, the instructional video uses a variety of over-the-shoulder camera angles and artistic focus pulls with a low key musical background. The voiceover by Kegler is thoughtfully composed, leading the viewer through the whole process, from choice of motif, composition, color mixing, value organization, brushwork, and glazing. 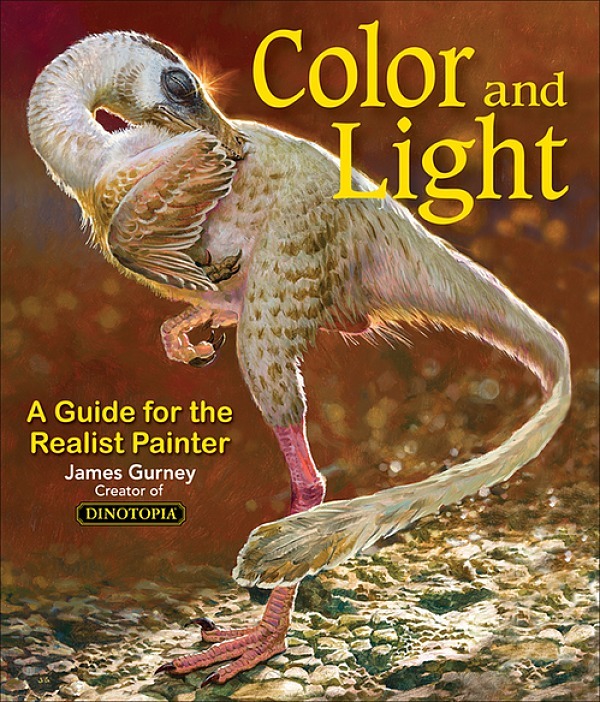 The instruction is suited to intermediate or advanced students who wish to perfect their craft to achieve a a painterly but accurate transcript of Nature. I like how they spend a bit of time explaining *why* he's so passionate about this particular subject: adds a sense of gravity. The music adds to that spiritual, communing-with-nature vibe he alludes to. All the tactile descriptions "the sounds, the smells, the temperature, the wind" and the forest sounds give a sense of being there, as if you're sitting beside him in a personal lesson. This preview is very well produced and enticing. (Also, I'm fascinated by his palette set up!). Does anyone out there have a review of this - or other videos by Kegler?